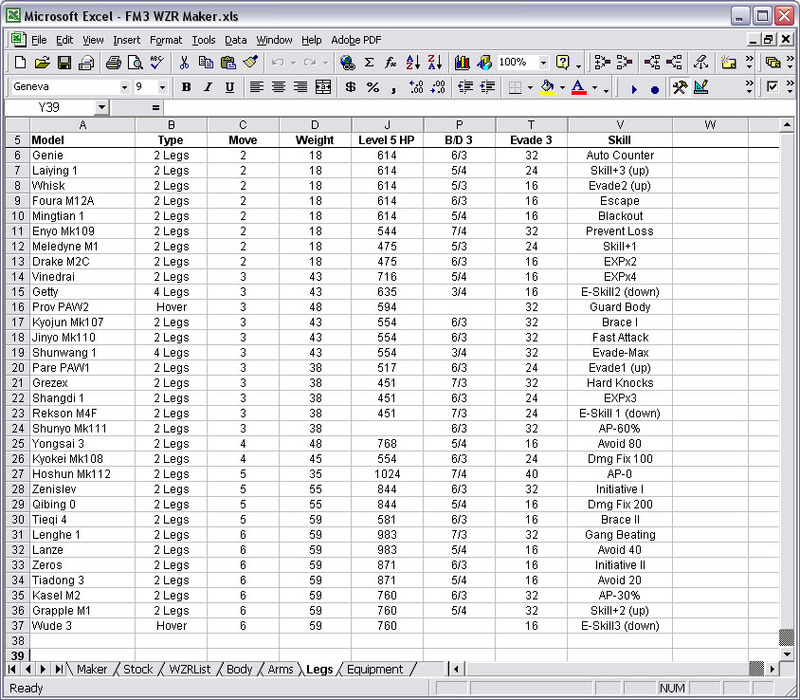 While the FM3 database is smaller than the other games in the series released in the United States, the salvage and upgrade systems add enough complexity to warrant a better WZR design tool than the interface provided in the game. 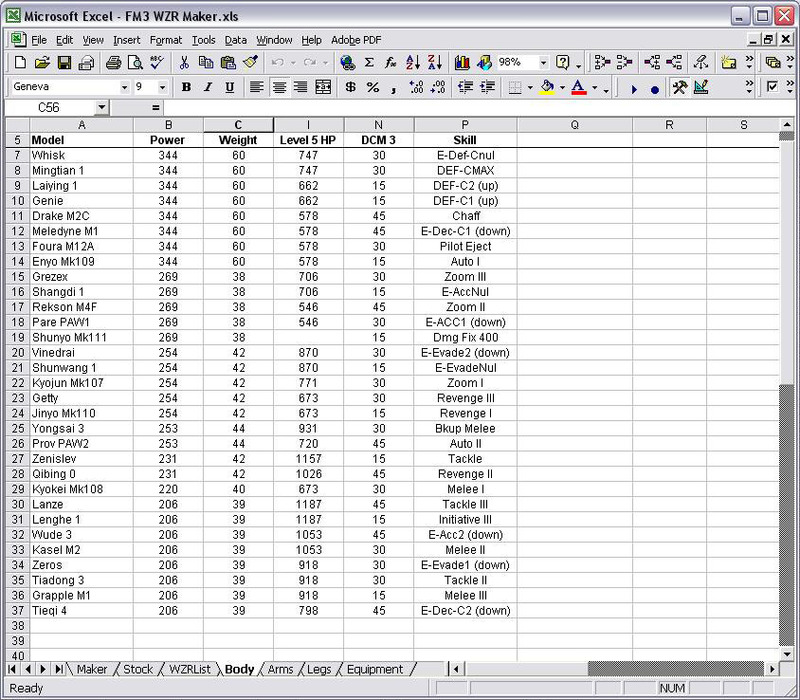 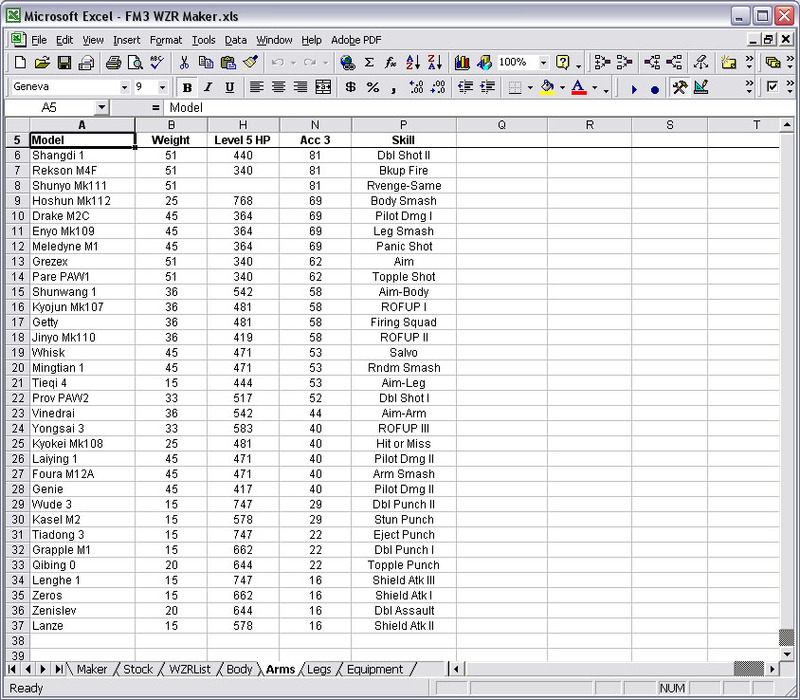 The main feature of the FM3 WZR Maker is the stock list. 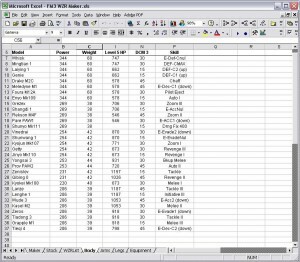 As wanzer parts are acquired, either through the shop or salvaged during missions, they can be added to the stock lists. 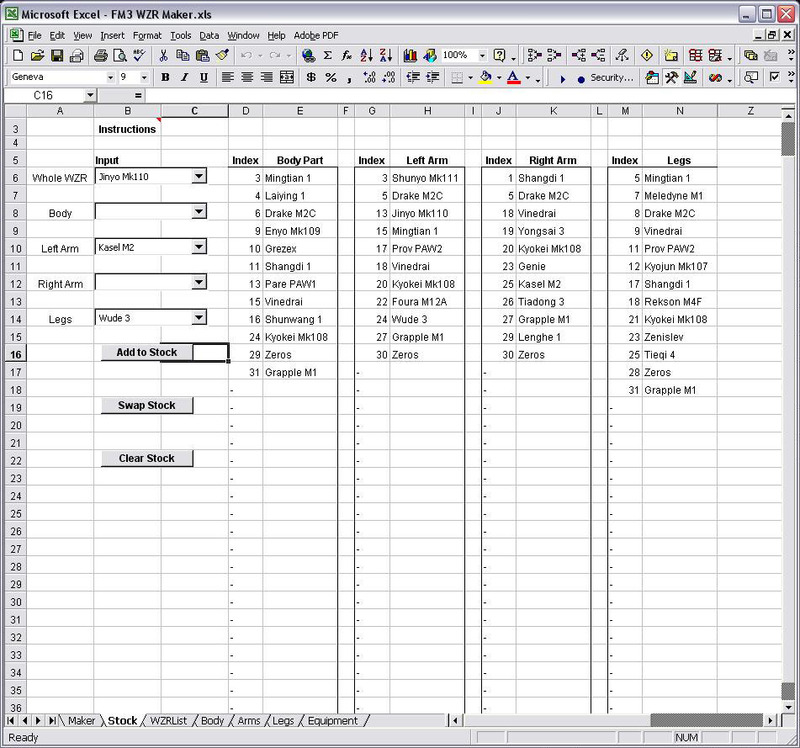 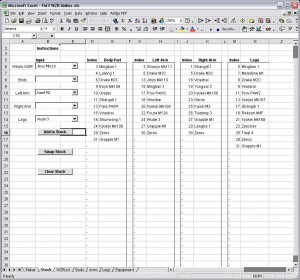 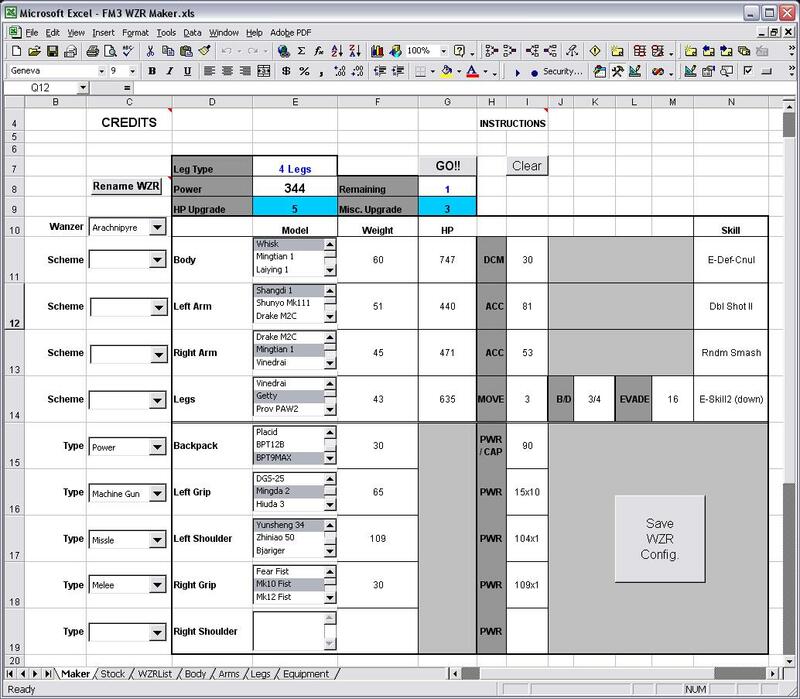 The lists populate the respective selection sets in the maker tab, allowing for quick designs based on allowable parts. 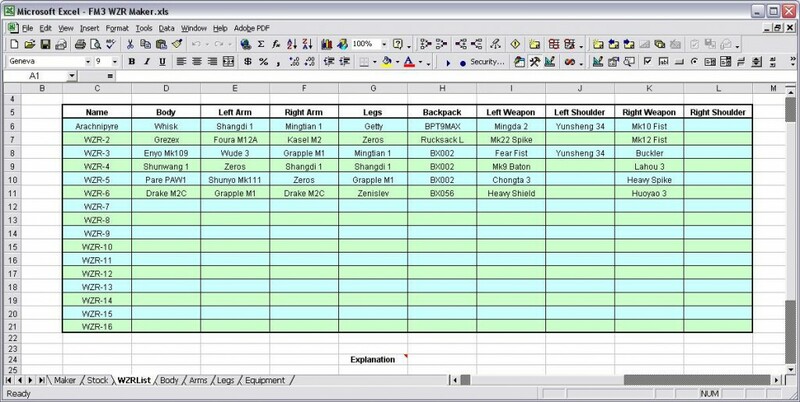 Once a configuration and loadout has been finalized it can be saved to a master list of sixteen wanzers and the utilized parts will be removed from stock. 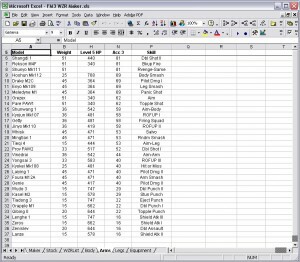 Loading a predefined wanzer from the list adds its parts back to the stock and preselects the existing loadout on the maker tab. 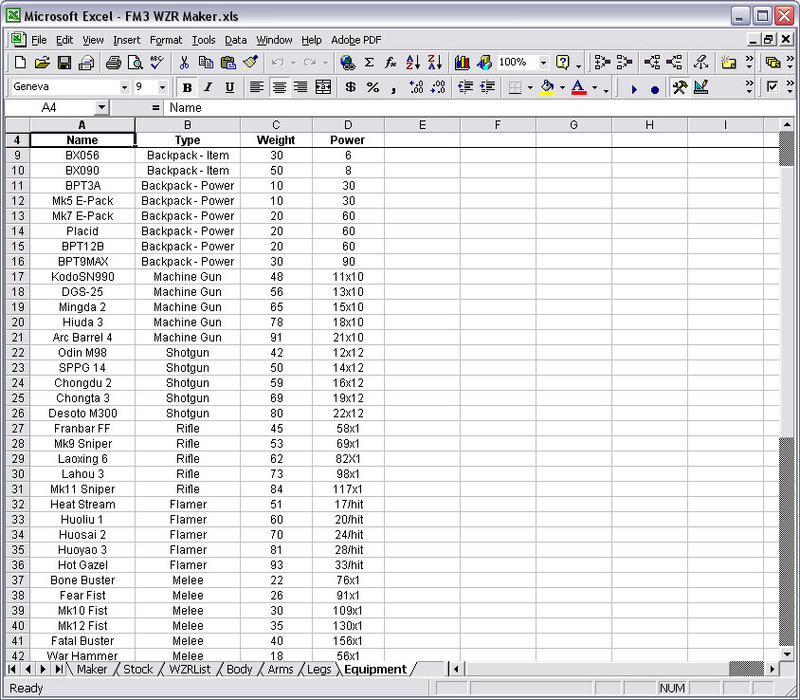 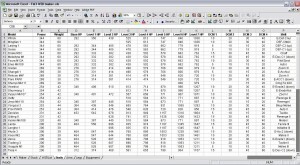 The other principle aspect of the spreadsheet is to compare the value of wanzer parts at various upgrade levels, as some parts that start weak may upgrade strong, or vice versa. 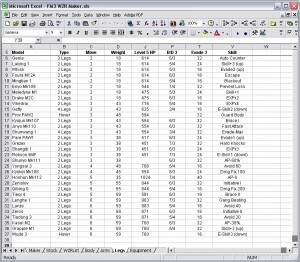 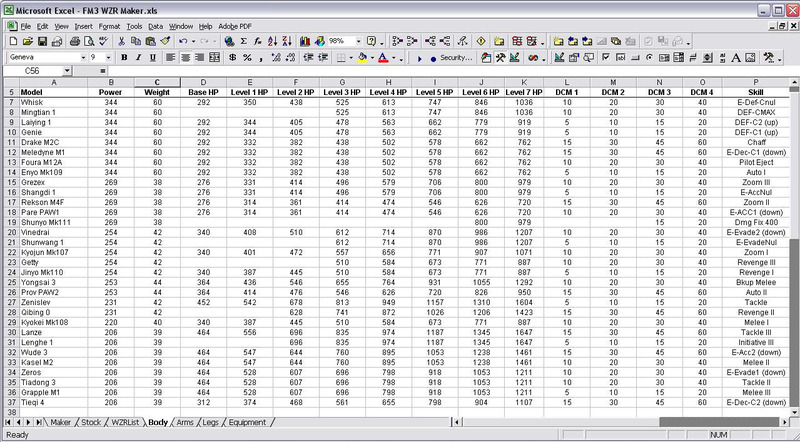 Input values for the available levels for both the hit point and miscellaneous upgrade and the databases will be sorted and collapsed to show the relevant statistics. 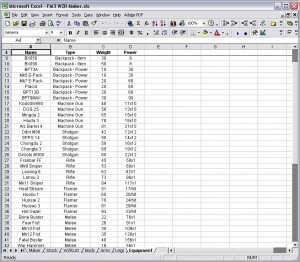 This feature can be used to optimize current stock upgrades and to plan for future acquisitions. As the equipment catalog is small, all backpacks and weapons are listed on the maker tab, so the user must take note of which articles are presently available in-game.